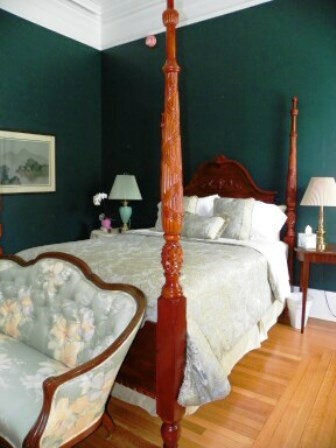 Experience historic elegance in this circa 1867 French Second Empire Vermont Bed & Breakfast on the village green in Fair Haven, Vermont. 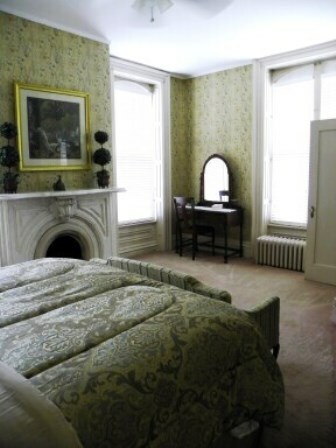 You are invited to come enjoy and unwind in the opulence of a 19th century marble mansion and marvel at twelve foot high ceilings decorated with intricate Georgian style plaster crown moldings and ceiling medallions. Curl up with a good book in front of one of the twin marble fireplaces in the double-parlor with gleaming herringbone pattern wood floors and double crystal chandeliers. 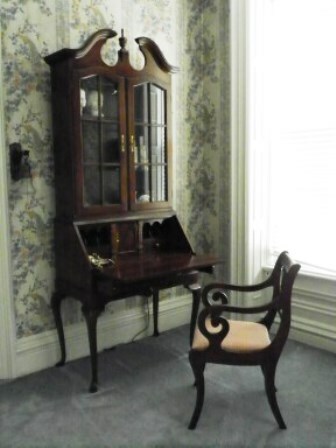 We are offering not only a relaxing break but a unique experience by taking in the history of the mansion. 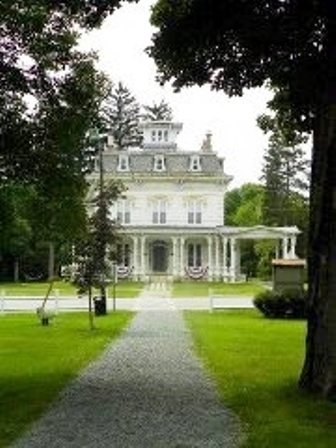 Built in 1867 in the French Second Empire style by relatives of Revolutionary War hero Ethan Allen, the Allen family was one of Vermont‘s first marble investors. At the time marble was readily available and inexpensive to harvest so Ira Allen built a grand home made of Vermont marble. The intricacies put into the three story mansion make it unique in character and grandeur. From hand carved marble mantles around all seven fireplaces to the plaster crown moldings gracing twelve foot ceilings, step back in time when cost was measured by the finished product and not by the hours to complete the job.